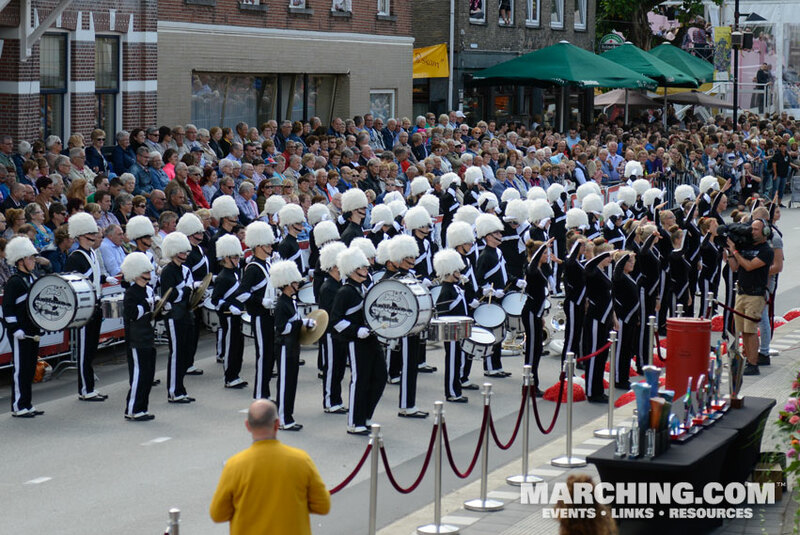 While gigantic floats are the main attraction at the Corso Zundert flower parade, marching bands represent one-third of the entries and provide an important pulse for the parade. 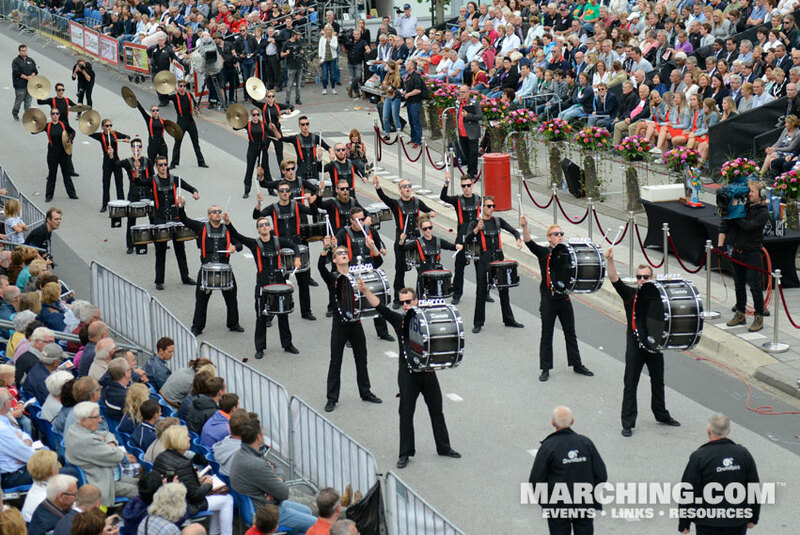 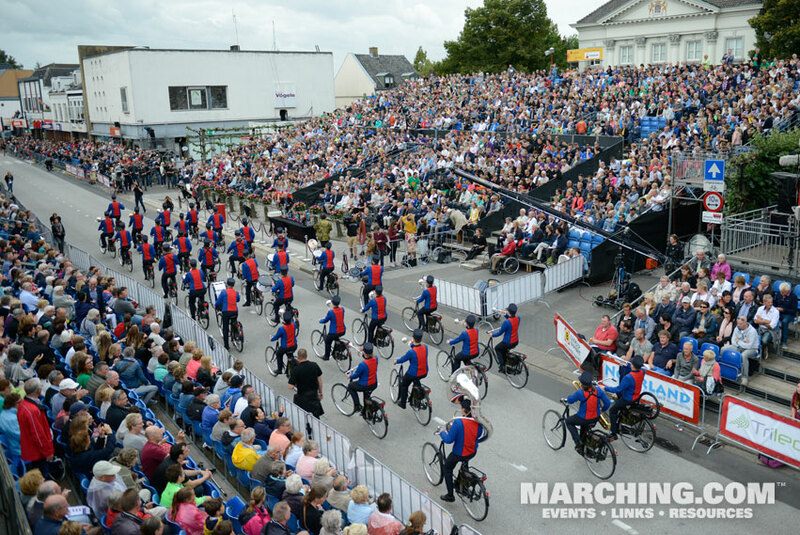 The 2016 lineup featured nine marching units from Germany, Belgium and The Netherlands. 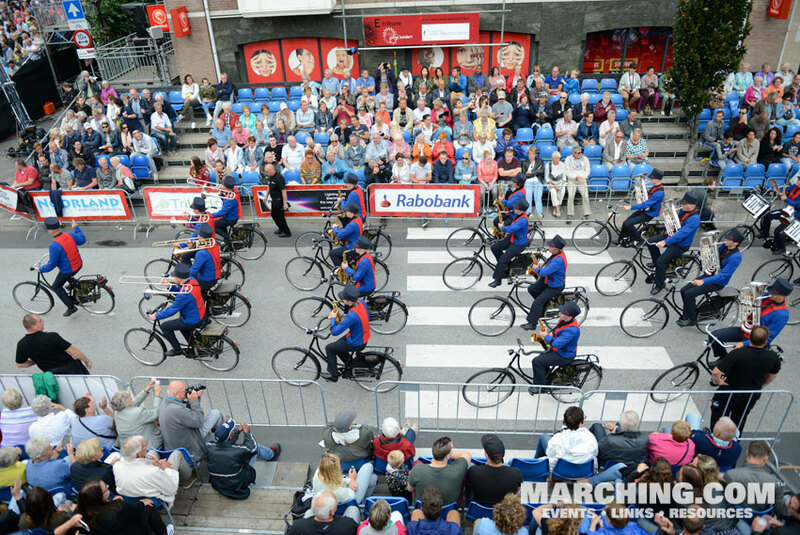 Among the lineup were traditional marching bands, a percussion ensemble, a drum & bugle corps ... and a band riding bicycles. 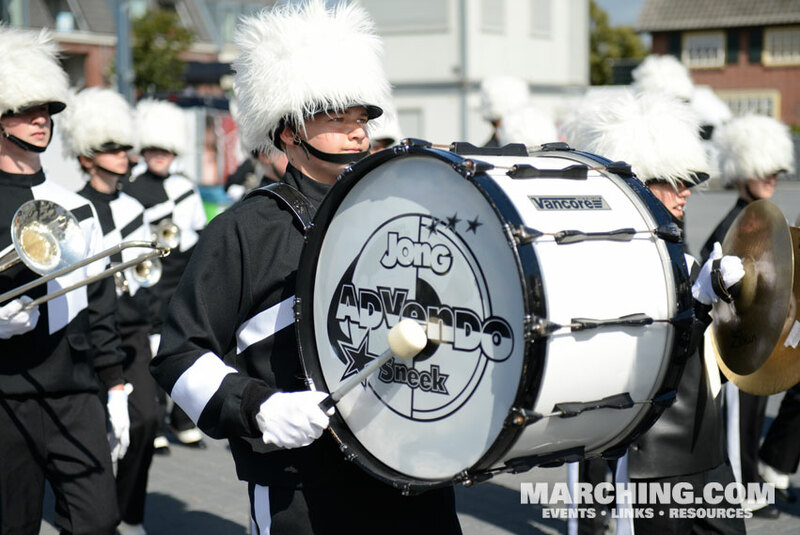 Two of the groups are well-known to American audiences: Jubal Drum & Bugle Corps has performed on the Drum Corps International tour, and DrumSpirit Percussion Ensemble has performed at the WGI World Championships. 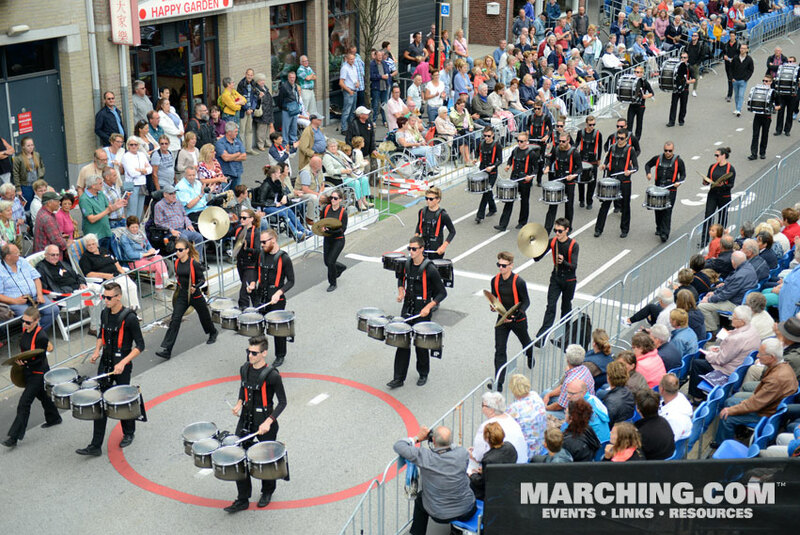 Ballots were distributed randomly along the parade route, and this year's People's Choice recipient was DrumSpirit. 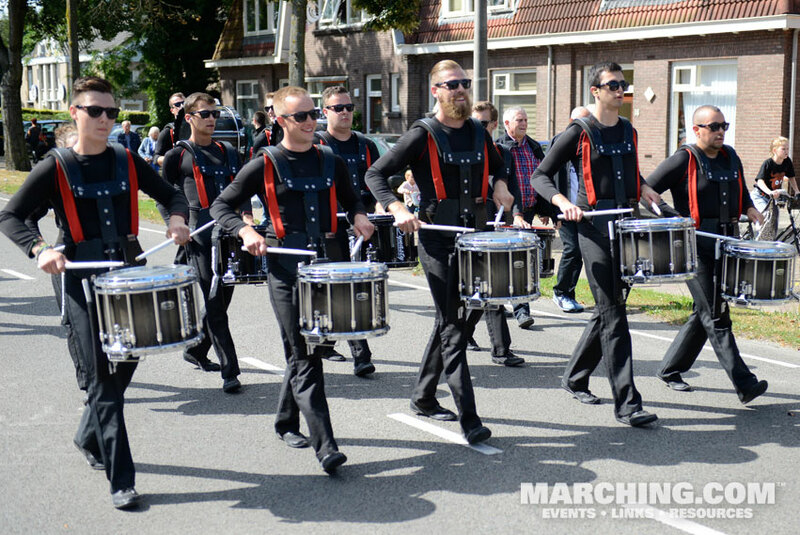 All nine marching units are pictured here in order of appearance. 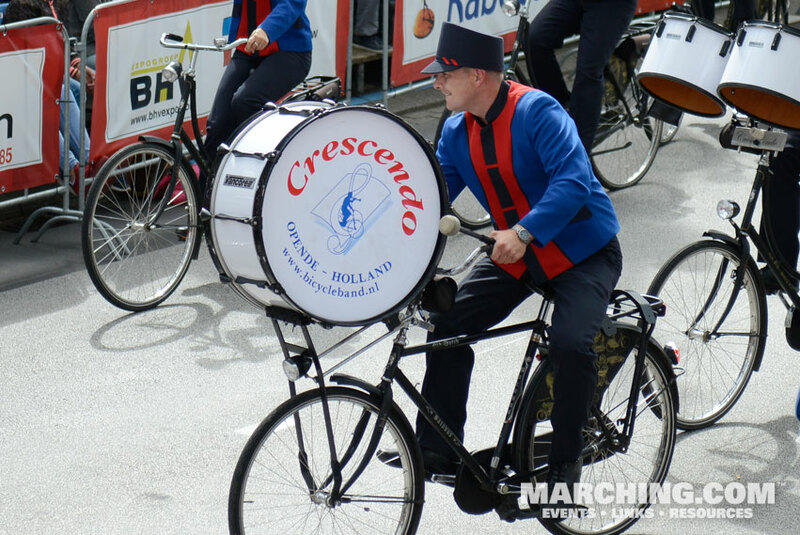 For more information, visit CorsoZundert.nl. 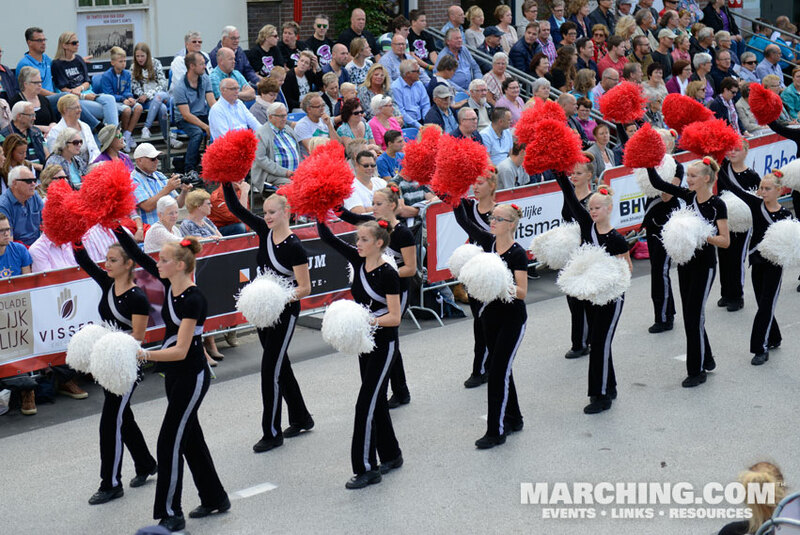 Also see 2016 Corso Zundert float photos.